All of us need refreshment as well as encouragement. 110 Chinese pastors participated in the conference I had the privilege of co-leading. 70% of these dear pastors had never been on an airplane and had never traveled outside of China. This conference provided for them a “safe” environment, free from any threat from government officials. For many of these pastors this conference may be the only conference they might ever attend. For four days, 8 hours a day we spent time in worship, training from God’s Word, fellowship and just having fun. They went home refreshed and ready to face the ongoing challenges of serving the Lord in China. Our partner in China coordinates eight of these types of conferences each year. You can send a Chinese pastor to a training conference for $400. If you want to make a substantial investment, you can sponsor an entire conference for $50,000. A Lydia Transformation Group is composed of the poorest of the poor Indian women. They gather to learn life skills and receive spiritual training. They learn to read and write. They learn a skill like sewing so they can become self-supporting. The groups meet five days a week for two hours per day for one year. During the meetings, women will learn about Jesus. Virtually all come to trust in Jesus. $50.00 per month will help support a teacher and help her lead three different groups. This is a powerful ministry that is helping numerous women find hope and find Jesus. 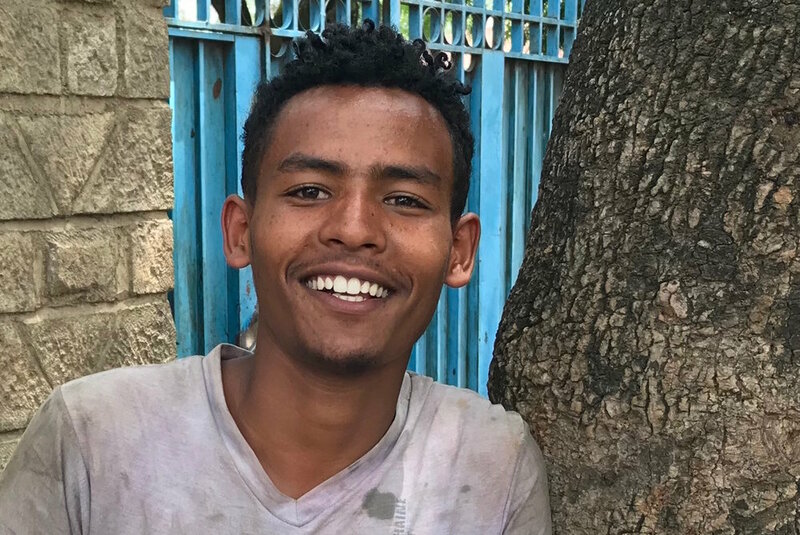 Hundreds and even thousands are turning to Christ in Ethiopia. There is a great need for the training of new believers in Ethiopia. For $50 you can help a new believer receive training in the basics of their new Christian faith. Meet Pastor Ely. He loves the Lord and he also loves to work on cars. He serves as the head instructor helping Filipino young men receive auto mechanic education. Students learn auto repair, computer skills and spiritual skills. 15 students attend the morning classes and 15 students attend the afternoon classes. These young men are learning a career and they are also coming to know Christ as their Savior and Lord. You can support an auto mechanic instructor or student for $50 per month.